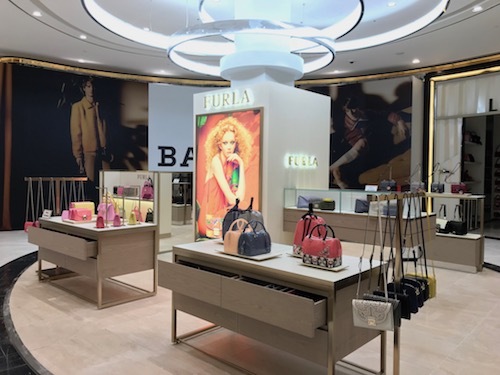 Furla has opened a new store in Bangkok's Downtown Duty Free Mall in Rangnam Road, in partnership with Kingpower. The 40sqm personalized location was officially opened on the 4th of March with Furla's Spring Summer 2018 collection. "Kingpower's spectacular mega-complex is an absolutely ideal location for Furla, it is truly a magnificent landmark and it is such an honour to be present there," said Gerry Munday, Furla's Global Travel Retail Director. "I extend my gratitude to Kingpower for making this happen and for their continuous support of the brand."